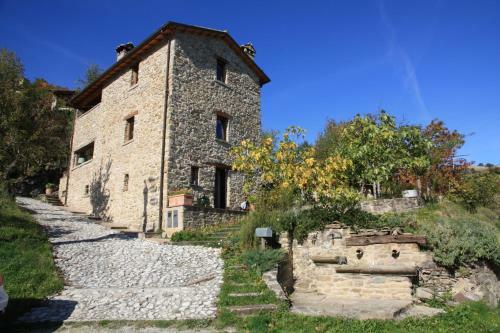 Offering an outdoor swimming pool, I Capanni di Raggio is a restored stone house set amidst the mountain countryside, 8 km from Sant’Agata Feltria. It features rustic-style rooms with exposed stonework and wooden-beamed ceilings. Holiday Accommodation in Marche country villas near Rimini - bed & breakfast - Emilia Romagna, Italy, Rimini.